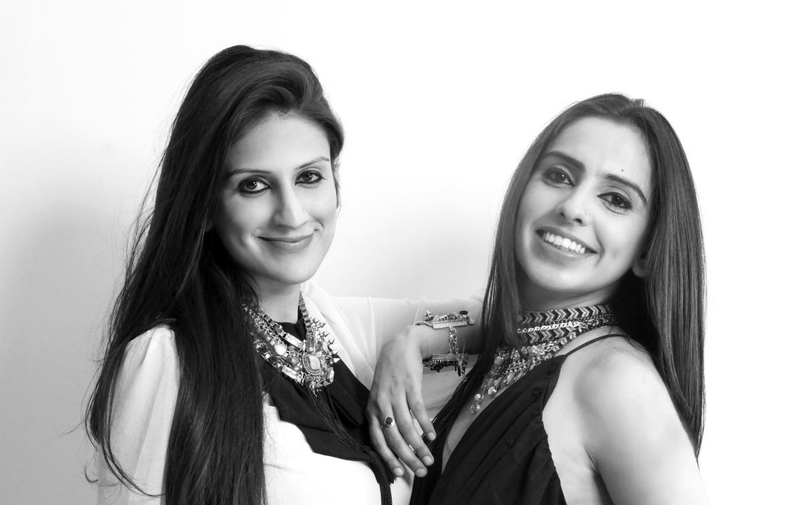 Started by sisters Kaabia and Sasha Grewal in 2012, Outhouse has re-imagined the way we look at fashion jewellery. 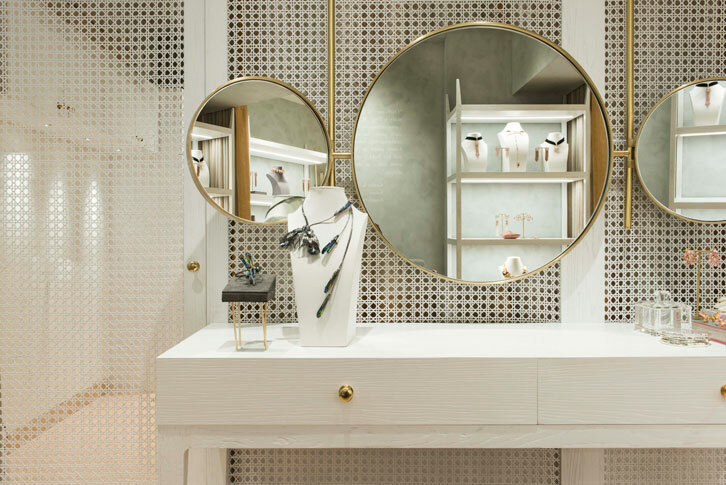 With innovation at the heart of their design philosophy, each statement piece is a story in luxury, design and craftsmanship. As they launch their sprawling new flagship store in suburban Mumbai, the duo talks to us about their love for the city, interiors that reflect their designs, and their favourite pieces. Mumbai is a city we love and share a big connection with. We have been to Mumbai several times for Lakme Fashion Week, which is where we received our first big break and also for the DesignOne showcase, but we’ve always wanted to provide an authentic Outhouse retail experience which our Bandra boutique does. Naturally, the city has a lot to offer and we couldn’t think of a better place to move to next. In the end, the experience is everything for us. The store is designed by Vritima Wadhwa, a very dear friend who owns project 810. We wanted the space design to be an ode to Mumbai. It is an amalgamation of the historical and colonial architecture of vintage Mumbai and the minimal and classy design language of Outhouse. 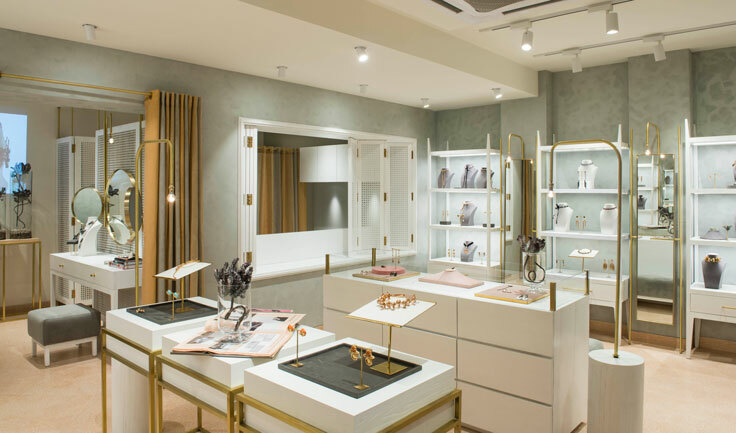 The materials and colours complement each other, which gives the store an understated vibe and at the same time allows the jewellery to be the hero. Mumbai’s architecture is heavily influenced by colonial, gothic and art deco styles. We wanted to blend into the vibe of the city so we picked out some very basic and classic materials for the store. Our signature brand colours, salmon pink, grey, and accents of brass, are juxtaposed on oakwood and wicker weave, an element that was key in colonial Indian architecture. The terrazzo flooring (a recurring trend from the 90s) is specially created in salmon pink with white chips. The couture room, a small private enclosure for one on one appointments, gives the customer our Outhouse bespoke experience to help them pick the right pieces. Whether it was putting up the window signage of ‘Outhouse Loves Mumbai’ and watching it light up, or seeing the beautiful golden letters of Outhouse on the façade, to displaying each of the pieces ourselves… these were moments with mixed feelings of pride, excitement, and nervousness. The entire project and process has been an amazing experience and really close to our hearts, even with the ups and downs and we wouldn’t want it any other way. The Crypsis wrap necklace from our Imago collection is one of our favourites. It has been handcrafted with mixed plating of 22 karat gold and gunmetal. The minimalism is definitely something that stands out at first glance. The colours are light and soothing but the individual elements are neither mundane nor mainstream. Everything is custom-made and you cannot miss the contrast of the modern against the colonial decor. Outhouse Jewellery, Shop no. 1, Hemkund Co-op Society, 116 Waterfield Road, Junction of Turner and Waterfield road, next to Motimahal restaurant, Bandra West, Mumbai.